Veteran actor will have section of show dedicated to his memory. The entertainment world continues to mourn the loss of comedian Robin Williams, found dead in his home earlier this month. Tonight, at the 66th Primetime Emmys, Billy Crystal will present a tribute to the late actor. Crystal and Williams have a friendship spanning more than three decades, from when they met as up-and-coming television actors in the late '70s. Crystal is the perfect, heart-wrenching choice to memorialize Williams, and we're already mentally preparing for it. Though his later career and best known work was in film, Williams got his start in TV. Here are a few small-screen projects we wouldn't be surprised to see pop up in tonight's toast to Williams. Williams burst onto the scene as Mork from Ork in "Mork & Mindy" after originating the character in a guest spot on "Happy Days." He played the beloved alien from 1978 to 1982. Williams appeared as himself twice on the sitcom about a fictional talk show. In the clip above, he gets to play a version of himself who gets caught in the middle of show tension. Williams and Crystal cameoed on a 1997 episode of the popular sitcom, "The One With The Ultimate Fighting Champion." (Spoiler alert, neither Williams nor Crystal are the ultimate fighting champion.) The duo play buddies whose emotional drama intrudes on the titular friends' coffee shop chat time. 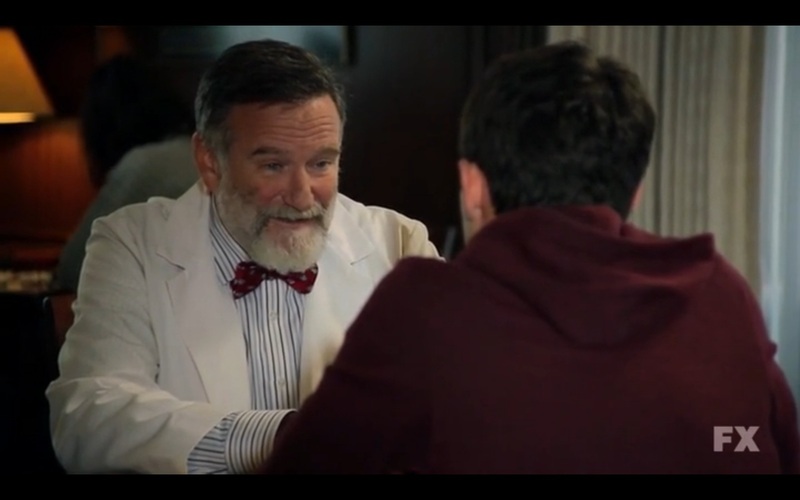 Williams appeared in a guest spot in the second season premiere of the show, as a meta-therapist who may or may not look just like Robin Williams. Williams played himself in a guest spot on "Louie." The two men meet at a sparsely attended funeral for a comedy club manager, then bond over how much they disliked him. Williams played Sarah Michelle Gellar's TV dad in his return to series television. The show was canceled after its freshman season. In his remembrance of Williams, Conan O'Brien called Williams the best late night guest ever. His numerous appearances with David Letterman, Jay Leno, Johnny Carson, O'Brien and more have us totally agreeing with him. What do you want to see in the tribute? Let us know in the comments below.